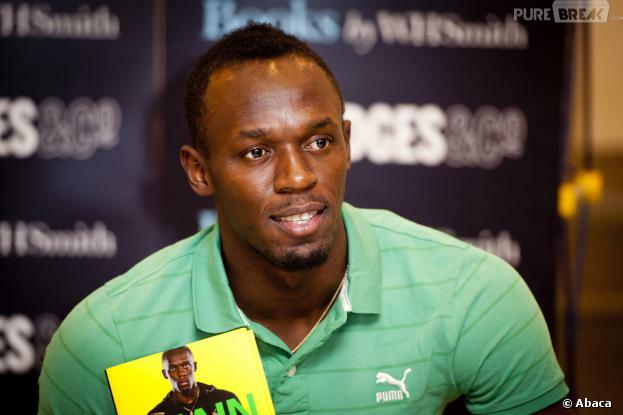 Six-time Olympic champion Usain Bolt ran a season’s best 9.98 seconds in winning the men’s 100m at the Golden Spike meeting in the Czech Republic. In his first European outing of the year, the Jamaican recovered from a slow start to win with ease with Ramon Gittens 0.23 secs behind in second. Bolt clocked 10.05 seconds in his only other 100m of the season – at the Cayman Islands Invitational Meet. The 29-year-old needed treatment on a tight hamstring following that race. He took a break from racing after the Beijing World Championships last August, where he won golds in the 100m, 200m and 4x100m relay. 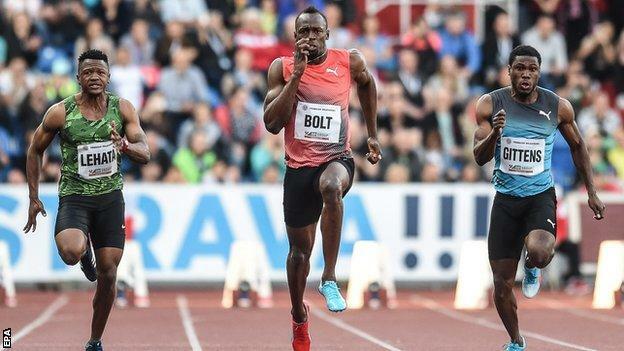 In the build up to the race in Ostrava, the 100m and 200m world record holder said his main aim was to break the world 200m record at this summer’s Rio Olympics. This entry was posted in News+Broadcasts and tagged Usain Bolt blows away opposition to win crucial Olympic warm-up rac, Usain Bolt breaks 10-second barrier to win in Ostrava, Usain Bolt dips below 10 seconds to win in Ostrava. Bookmark the permalink.